This pack texture has several features that can be met with in other packs for MCPE. 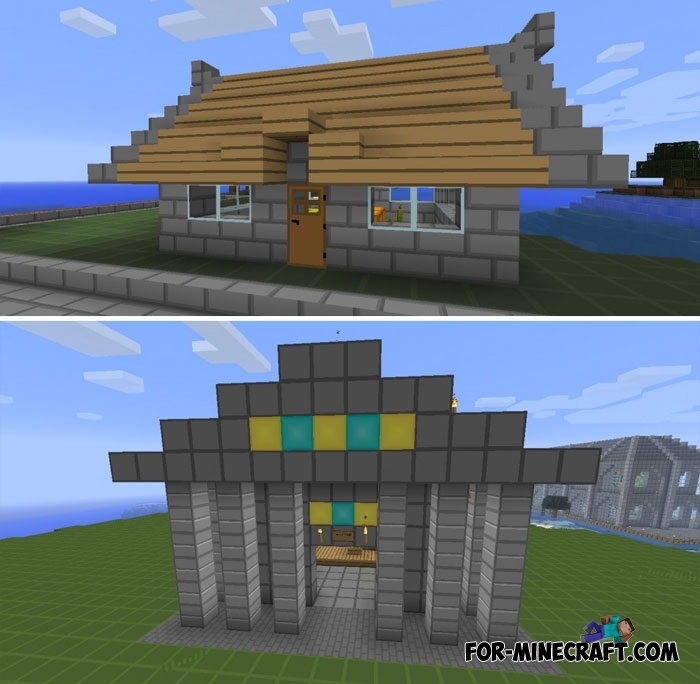 First, SimpleCraft minimizes the details of the textures and at the same time the blocks look no worse than vanilla ones. Scroll down and see for yourself, the surface of most blocks is free of small parts, but got a smooth transition of colors and the smoothness effect. Secondly, SimpleCraft is an excellent option for those who have a lot of eye strain during the game. You just need to reduce the brightness and the new blocks will not be so noticeable due to the minimalistic style. 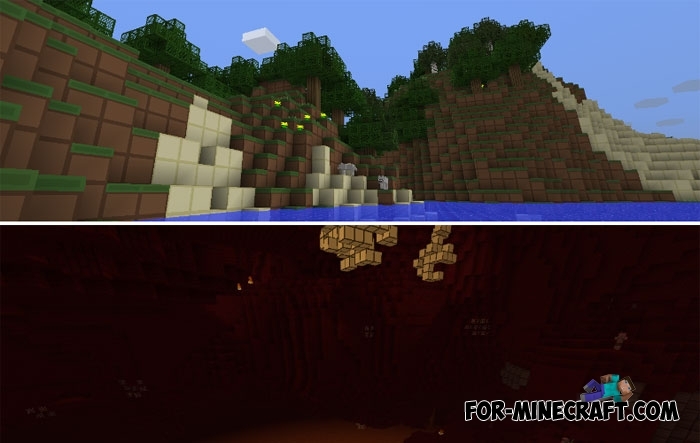 The texture pack has long been developed, but updates do not happen so often compared to the appearance of new versions of Minecraft Bedrock. 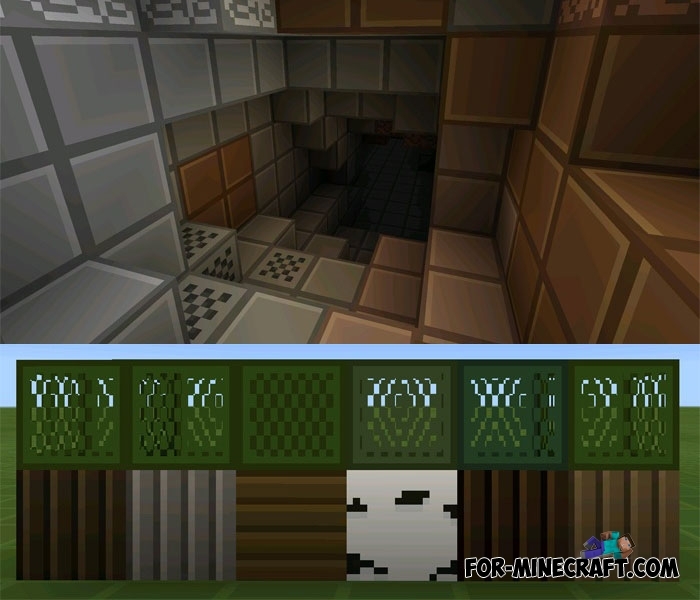 Therefore, some textures may not be displayed correctly on the latest versions of MCPE 1.2. How to install the SimpleCraft textures?